Marchand Petit is delighted to invite you to an Open Day within The Mill at Harbertonford, Totnes, South Hams, TQ9 7RS on 27th August, 10am - 1pm. 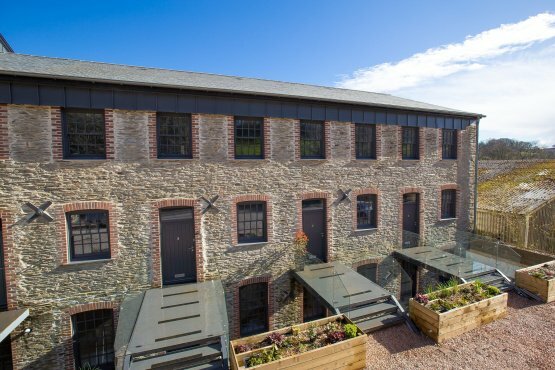 The Mill is a Grade II listed Woollen Mill dating back to 1769, which is being sympathetically converted into just 7 luxury three, four and five bedroom town houses. A clever combination of contemporary design and traditional materials harmonise perfectly with the original character features of this old building resulting in a truly unique and stylish home. Each property benefits from southerly facing gardens overlooking the Harbourne River. The Mill properties are of incredibly high specification including individually designed kitchens all with integrated Bosch appliances, contemporary bathrooms with Porcelain tiles and Villeroy and Boch sanitary wear, and all have Oak wooden doors and beams and steel stanchions. This development oozes character but has a unique, high quality, contemporary feel in a fabulous location. Please visit the Poppy Developments website at www.poppydevelopments.co.uk for an exciting 3D virtual tour of the show home and other recent projects. We look forward to seeing you on the Open Day and for further information please contact Poppy Developments 01803 860171 or Marchand Petit’s Totnes office 01803 847979.